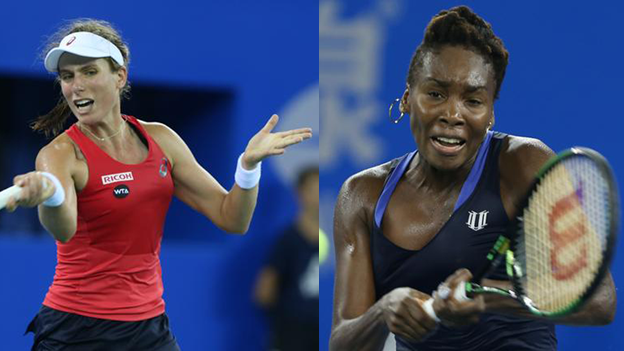 Britain's Johanna Konta was beaten 6-4 3-6 7-5 by former world number one Venus Williams in the quarter-finals of the Wuhan Open. Konta, who won 21 of her previous 22 matches and beat world number two Simona Halep on Wednesday, served for a place in the last four in the decider. However, American Williams, 35, won four games on the trot to set up a semi-final against Roberta Vinci. Konta's recent form sees the 24-year-old take over as British number one.